In Alain de Botton’s The Art of Travel, the author recounts the story of Duc des Esseintes, who never went to England because he knew it would be disappointing. He feared the reality would not match his expectations. I had similar feelings about Benidorm, but not because I thought it might not live up to high expectations. Brit stag-dos on tap and high-rise uber-development? That's how they roll there, right? Leaving London on a damp, winter morning, I boarded an early flight to Alicante. I had only to gain, surely. 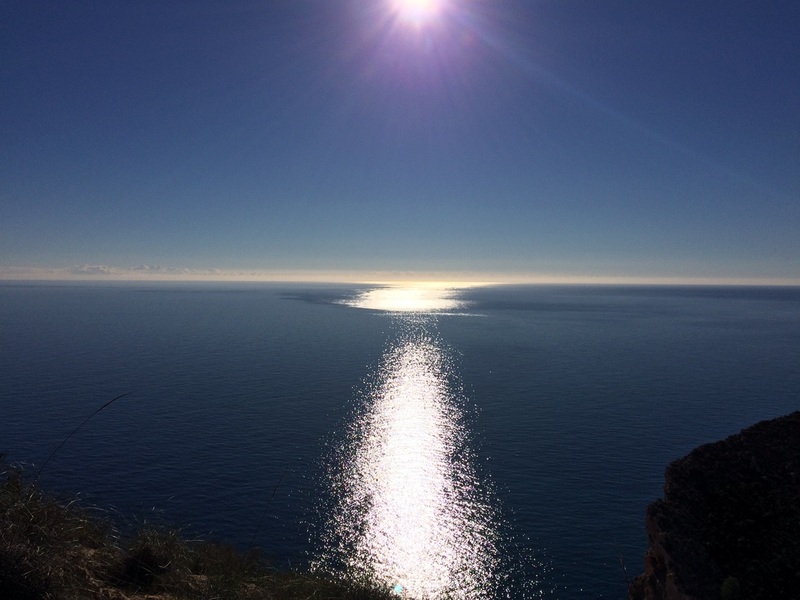 A few hours later, with the good Duc very firmly in mind, I was being sensuously assaulted by the panorama and sun of the Southern Spanish coast. Tranquility in the midst of untainted nature. Was this really the Benidorm I thought I knew? Protected by mountains, this stretch of the Costa Blanca is guaranteed warm weather all year long. 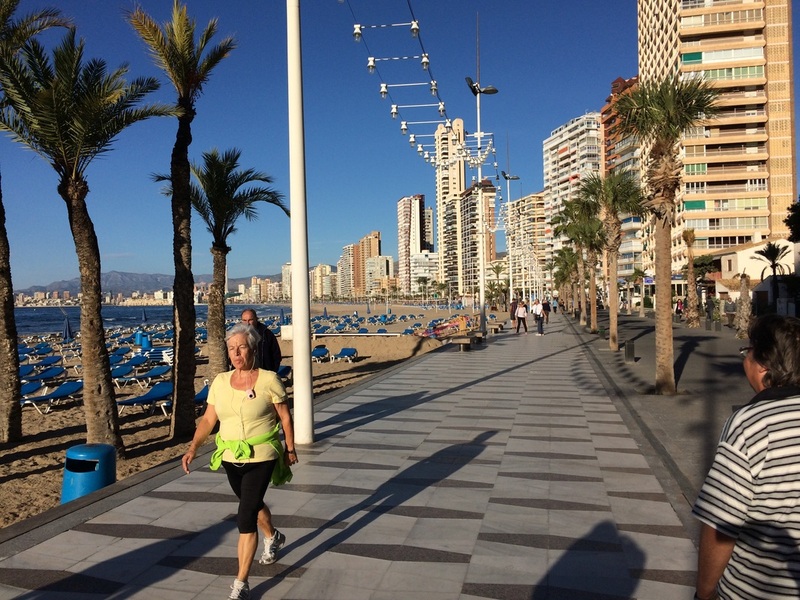 There are only ten days of rain during the year, apparently, hence the Brit appeal and a microclimate that makes Benidorm a haven for outdoor activities. 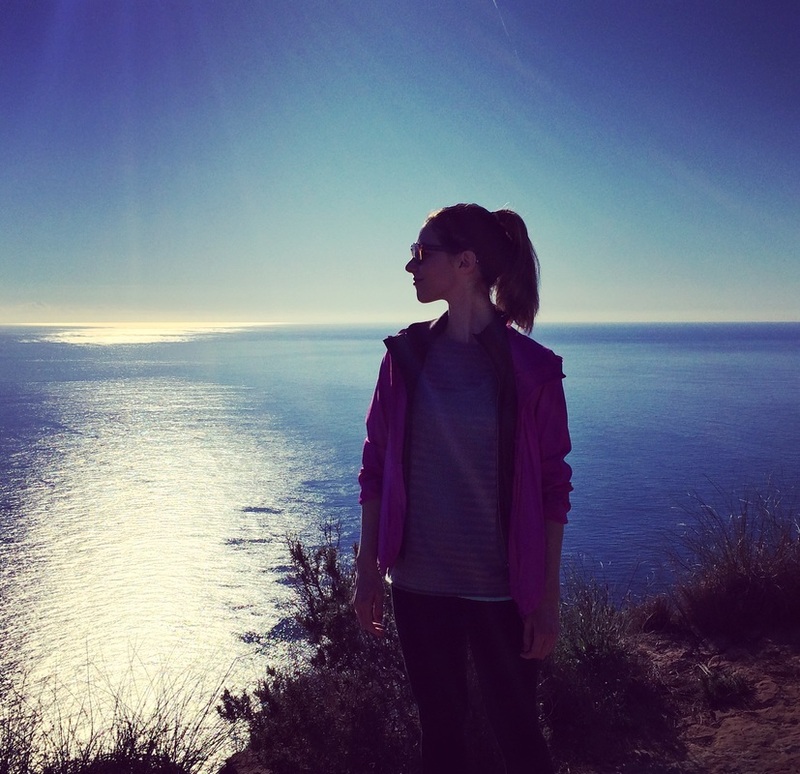 I headed off on a four-hour hike during my stay across the Sierra Halada Nature Park, a challenging clamber up and down the sprawling craggy mountains, topped with the satisfaction of overlooking the Mediterranean coastline at the summit. If a hike seems a bit much, then Tao Biking is a less gruelling alternative but equally rewarding. 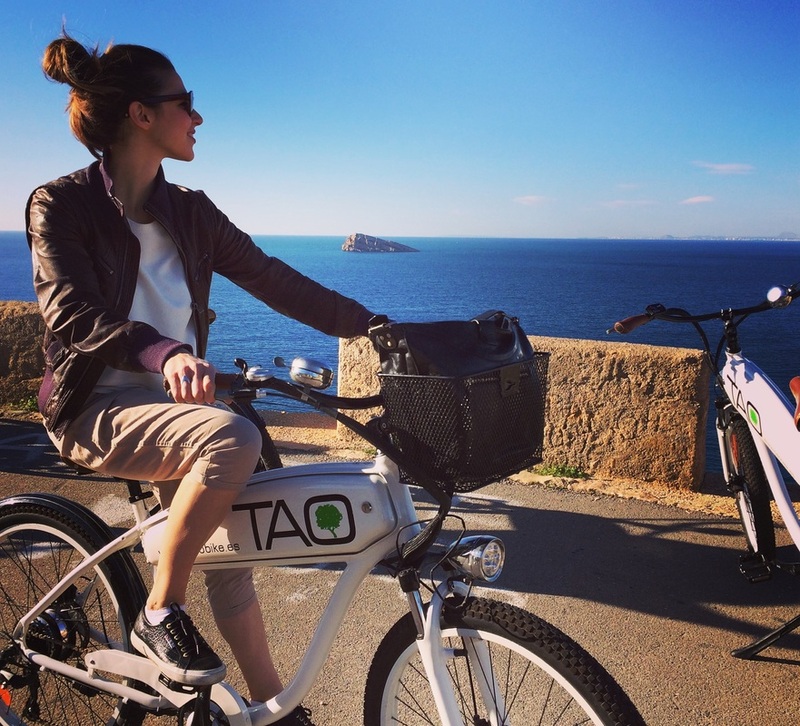 The Tao Bike is an electric bicycle with manual options - so you can monitor how hard you want to work. Whizzing up the steep inclines was lots of fun and rewarded you (no matter how you ascended) with views of the six kilometre stretch from Levante Beach in the east to Poniente Beach in the west. 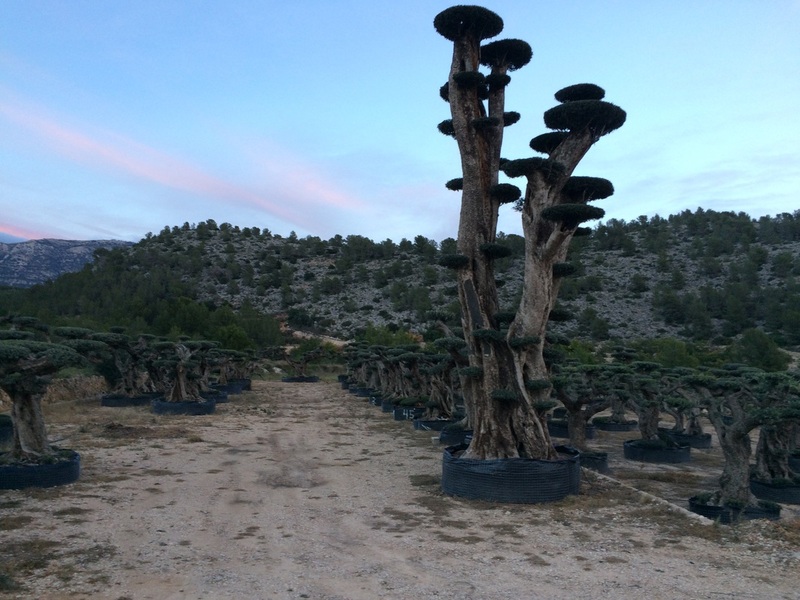 I’d also recommend taking a jeep tour in the nature reserve, which has you right in the heart of the rocks, greenery and loquat trees on the Sierra Cortina mountain range. On our bumpy jaunt, Denis, our guide, directed our attention to Finestrat’s great mountain, the 'Puig Campana', famous for having a huge chunk missing, creating a “U” shape in the rock. Legend has it that an irate giant kicked the piece out of the mountain when a fisherman refused to give his daughter’s hand in marriage. The rock landed on the father, killed him, and left the giant and daughter free to marry. Well, that’s one way to do it. Water sports are plentiful. Never having kayaked before, I faced the challenge with mild trepidation. But I needn’t have worried, help was at hand from the Marco Polo Kayaking team on the Benidorm bay and it turned out to be one of the best moments of the trip. A glorious memory was mine: kayaking towards the sunset, rolling across the water, which stretched out like a shining carpet. Take that, des Esseintes, with your weird opposite of FOMO. 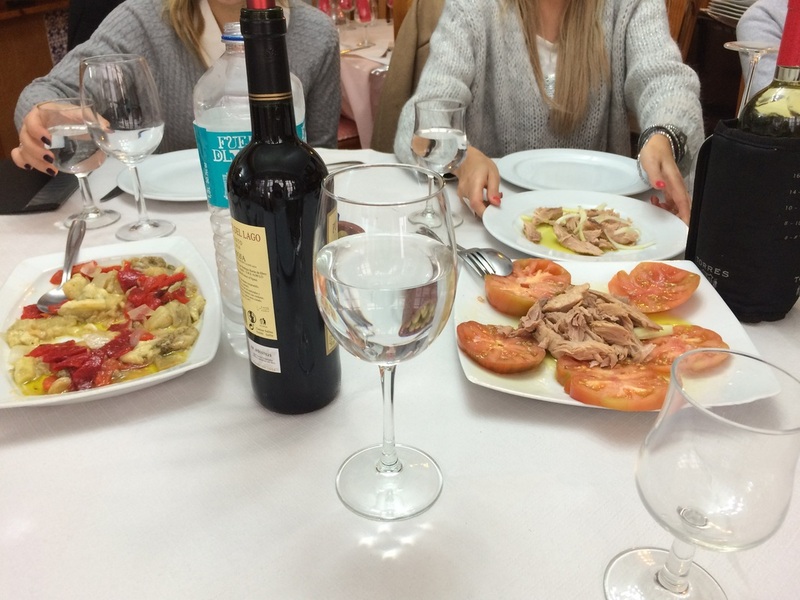 There’s nothing too demanding about the pace of mealtimes in Southern Spain. 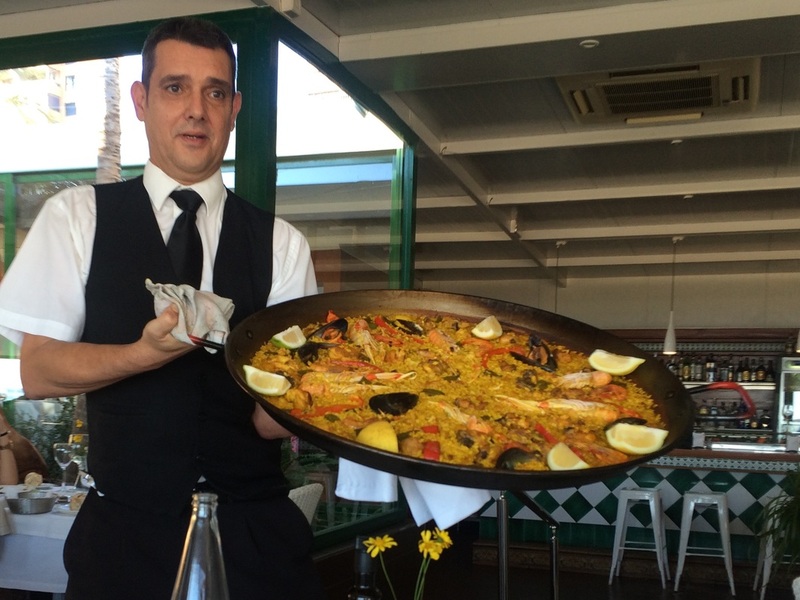 The Ulia Restaurant serves a damn good seafood paella and Casa de la Portuguesa oozes character, mostly due to its owners - a husband and wife team in their 70s who served up a spread of delicious tuna, tomatoes and rice. The fishermen of Benidorm became legendary throughout Europe during the 1600s and mastered the Arabic fishing technique of 'Almadraba', a way to catch tuna which they inherited from the Moors. The craft is no longer in practice, but in Benidorm, tuna is on every menu, distinctively tasty, and this town certainly won’t disappoint the pescetarian. 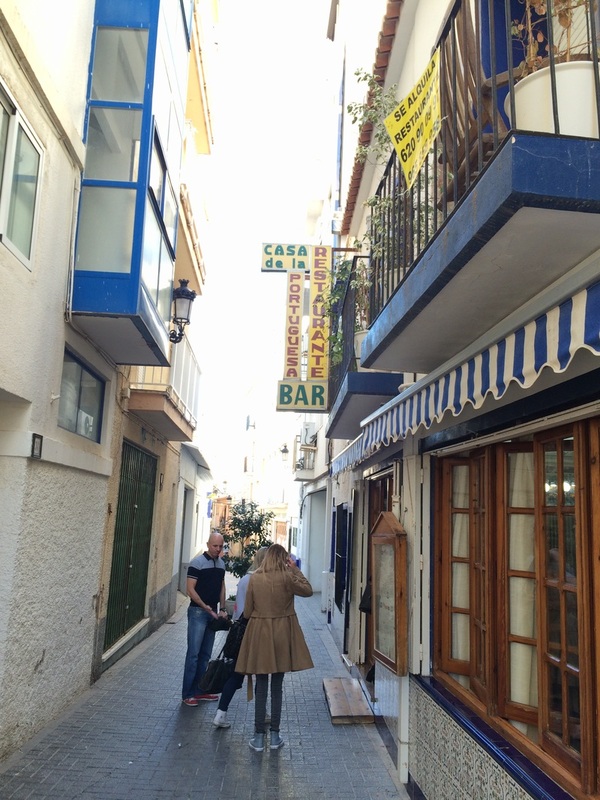 We also ventured into the cobbled streets of the old town to “Tapas Alley”, which is, unsurprisingly, abundant in tapas eateries and bustling with diners into the early hours of the morning. For those of you who thought that Benidorm tapas was egg and chips, many cosy haunts offer homely cuisine such as Bacalao al pil pil (cod), Jamón Ibérico (Iberian ham), and Berenjenas fritas con miel de nísperos (fried aubergines in honey). Away from the crowds, the Villa Venecia Boutique Hotel and Restaurant Belvedere not only serve up fine food, but spectacular rooftop views too. There’s always something very special overlooking the sea under moonlight, with a glass of cava in your hand. Always. And what is it about European wine that it seems to glide down the throat so well, and leave you in peace the morning after, hangover free? In a bid to discover, I visited the local winery of Enrique Mendoza and learnt about the production of their wine, but also sampled generous quantities of their grape (hell yes). Its creator, Enrique, a jovial man of character, even joined us during our tasting, whilst regaling us with stories of his wines. Most of the wines are red, including the robust Santa Rosa (named after his mother). Yet another beautiful Benidorm moment was unexpectedly achieved, looking over the vineyard at dusk as we sipped the wine, an interlude that was only enhanced by the accompanying cheeses, meats and chocolates. The lovely thing about Benidorm is that that lifeless lull, often prevalent in the winter in popular summer tourist towns, just doesn’t happen. The winter sun was in fact preferable to summer. No humidity. No mosquitos. No crowds. Nightlife was still happening, whether it's a quiet cocktail bar or crazy dancing - all can be found along the Levante beach. However, amid the views, the wine and the sun, it's the characters of Benidorm that really make the place special. It would be conceivable to imagine eye-rolling or resentfulness from the locals at the sight of a British tourist, but I met only sincere courtesy and a genuine welcome. Benidorm, you surprised me. It’s time your reputation was set straight.